The term ‘e-health’ has become the latest buzzword. It is used to characterize the combination of technologies from two different areas: the Internet and medicine. It implies a usage of digital media with a key goal to enable more effective and easier medical attendance and treatment of patients. Due to the digital transformation health data is available in real-time, communication takes place in a jiffy and therapy can be carried out from any location – that’s the future of medical care. Good morning! Did you sleep well? The users of wearables can answer this question exactly. The activity trackers record vital signs like steps, pulse and heart rate automatically the whole day through. They collect information about your body functions and transmit it to the PC or directly to the smart phone. Later you receive a report about the stages of your sleep and the impact on the coming day. Now you are informed about your personal well-being and can start your day! But the digital health watchers can much more. They can perfectly relieve the daily routine of patients with specific illnesses, for example, diabetics. A sensor installed in a smart body sticker can measure blood sugar level and alert patients in case it gets too high. Also asthmatics can control their breath sounds by using special sensors in wearables. Today people like never before seek to get more responsibility for their health. These days it’s not unusual to look for information about clinical pictures and medical intervention on the Internet. Internet-users write blogs, make comments in health discussion forums and also use health apps for self-tracking. They measure blood pressure, calorie consumption on their own just using a smart health tracker. Despite the skeptical opinion among doctors about the reliability of such data, in 2016 the demand for health apps is expected to keep on growing. Health care is going paperless. Co-called health clouds enabling to exchange health data between doctor and patient will become a standard: no unhandy patient CDs, no medical reports sent by post or fax. Furthermore, health care solutions are expected to be customized for every individual patient. Accurate diagnoses, effective treatment and drug prescription will be enabled due to the new discoveries in genetics and genomics. Worldwide telehealth is gaining in importance. By 2018 the number of telehealth patients worldwide is forecasted to grow to around seven million. The TH provides remote clinical diagnostics, doctor’s advice and medical emergency service by using audiovisual communication technologies. 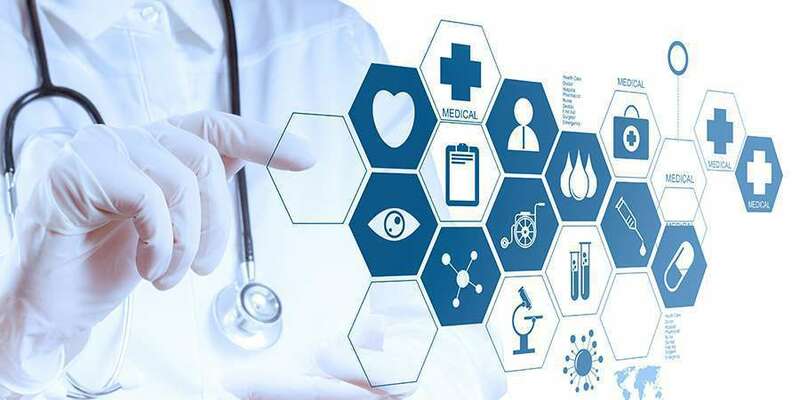 Especially disabled patients living far away from a hospital, people suffering from hypertension, heart failure, overweight and obesity, pregnant women can benefit from the telehealth technologies. Data security will stay a critical issue and one of the main discussion points for the e-health application providers. E-health opens a door to a new dimension in health care sector. However, it represents some safety concerns as the sensible data is an attractive target for cyber hackers. The biggest challenge within the digitalization process of the health care sector is to determine framework conditions, to secure sensible patient data and ensure data protection.